When shipping direct to consumer (D2C), returns are inevitable. Through advanced technology and focused process, IDS is able to show our clients cost savings and higher cost recovery from customer returns. IDS Fulfillment makes the return process easy and simple for not only our fulfillment customers, but also for their customers by providing easy return labels on pack slips and using re-usable return packaging to make returns as simple as possible for your customers. IDS Fulfillment makes the most of your return processing by thoroughly examining the returned products. IDS Fulfillment is able to make decisions on whether to place the order back in inventory, remove completely from inventory or support your efforts to move through other liquidation channels. No client wants a return, but that doesn't mean they become a total loss for the bottom line. 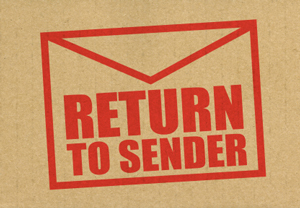 With IDS Fulfillment we help make the most out of your return process. Ready to talk about it? We are happy to help!